The end of the story of HMS Erebus is well known. In 1846, she and her sister ship, HMS Terror, vanished while searching for the long-sought North West Passage. It was only in 2014 that the sunken wreck of the Erebus was found in the icy Canadian Arctic, with Terror being discovered two years later. The hunt for the ships began soon after they disappeared as various stories of starving white men, long lost graves and cannibalism began to emerge from the Inuit population in the area. With the slightly odd British passion for elevating heroic failure above heroic success, the captain of the Erebus, Sir John Franklin, became one of the most celebrated figures of Arctic exploration, even though, it must be said, he wasn’t very good at it. 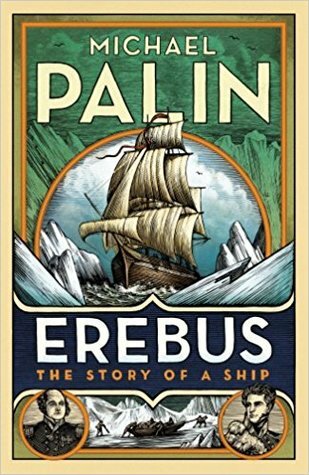 But the story of the Erebus began long before. Launched in 1826, she was originally to be a bomb ship, tough, ugly and with a shallow draft to enable her to get near enough to shore batteries to shell them. But she was never to fire a shot in anger, and, with Britannia ruling the waves, was turned into a polar exploration ship. Under the command of James Clark Ross – much more successful and therefore less well known than Franklin – she explored and charted huge areas of Antarctica. Ross, however, had the sense to refuse to command the Arctic expedition. Ice and voyages that could last years rather than months had begun to pall. 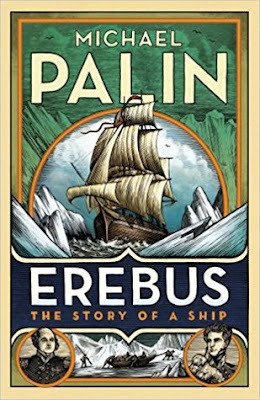 Michael Palin, who has moved on from being a Monty Python to becoming an explorer for the television age, follows the Erebus and Terror and the men – no women – who sailed in them. He tells the story with charm and compassion, bringing to life the extraordinary age of polar exploration and some of the characters who sailed on Erebus and Terror and considers their horrible end – was it starvation, poisoning from badly tinned food, TB or scurvy? Palin, however, doesn’t only dwell on the final disaster, but gives those tough old ships and their crews their full due.